We are pleased to announce that ABC Plastics has agreed to be acquired by Plastics Northwest, Inc., a long standing injection molding company with a strong and steady growth record. This is an exciting announcement for us that we believe will yield important benefits to our suppliers and customers, while ensuring the continuity of our business and relationships. This transaction will accelerate our ability to seize on industry growth opportunities, deliver product innovation and consistent, and reliable operational performance. We believe that this move will make us even better positioned to navigate an evolving industry, ensuring continuity, continued innovation in products and the overall long-term stability of the business. We appreciate the longtime customers who are making this transition with us, and look forward to surpassing your expectations. Our customers are important to us, and now that you are a part of our team, let us introduce ourselves. Our president, Mike Martin started building molds for the die casting industry in 1972. As his knowledge and expertise grew, so did his clientele base. In 1990 the overwhelming need for plastics molds inspired him to leave the die casting world to create Plastics Northwest- creating both molds for customers and running their parts. 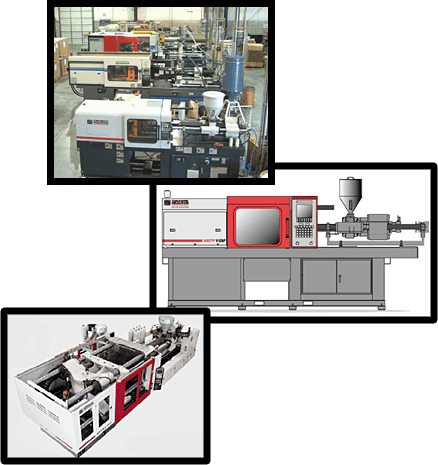 Plastics Northwest has shown continual growth over the last 10 years as we have positioned ourselves in the market place as a full service molder. Our mission is to exceed your expectations in quality, delivery, customer service, and cost. We achieve this by beginning every project with a complete review of the part and mold design, manufacturing processes, and materials. Using the combined skills of our management team as well as the staff on the production floor, we maintain a level of excellence that you can rely on. It is our goal to continue growing and expanding our capabilities by investing in our staff, equipment, real property, and software upgrades. Our stability, consistent growth, and goals for the future offers you a company you can grow with and depend on. We look forward to working with you. We have a team to help you design your idea into a molded product. We can have a 3D model of your product made to check size, fit, and function to insure all is correct before building your mold. We work closely with some of the finest mold makers to help our clients achieve their best results. Together we can fine tune the mold to develop the best end result and optimize production rates. We can tailor the production runs to your sales cycle, providing just-in-time inventory control. With varying machine sizes, we can produce a number of components in tandem, reducing production times. Every customer and every project is of prime importance to us regardless of the size. You are assured of the highest standards, on-line inspection, quality control, and strict adherence to your specifications. We can warehouse and drop ship your product for you so you don’t have to be inconvenienced with the logistics. Whatever phase your plastics project is in, we can help. If 3D printing or prototype molding are part of your project plan, consult ABC Plastics first. As a legacy molder we have the experience and industry connections to launch your product. If all you need is a few samples to convey a rough draft or concept, then 3D printing can be a great place to start. 3D printing is unbounded by the disciplines of developing an injection mold, but parts are expensive and limited types of plastic. Parts lack the finish of a molded product. If you need a quality part or are ready to consider production, contact us and we can show you the shortest path to success. Somewhere between 3D printing and developing a production mold is another interim concept called prototype molding. This is formal injection molding, but the molds made from softer materials like aluminum which limits the production run. Mold design tolerances are limited to what can be produced from an automated CNC machine. The cost of the mold is effectively amortized as a higher per part cost. If your goal is ultimately production, consider calling ABC Plastics first. We deal with a wide array of mold types, and can help you make the right choice. Even if you settle on a softer mold material, you will at least own your own mold, and we can help you make the most of it. For years ABC Plastics has worked with countless number of customers to make their visions become reality. We’ve taken many products from concept to production. We look at the big picture when helping you achieve your goal. Let us help you strike the right balance between budget, quantity and quality. ABC Plastics has been custom injection molding and more since 1976. From I-5 in Vancouver take either exit 1-C (Mill Plain) or exit 1-D (Fourth Plain). Go west approximately 2 miles. Mill Plain and Fourth Plain Blvds come together on Lower River Road. Go past the main entrance of the Port of Vancouver and take the next left into the parking area. On the right you’ll find 2801 Suite A.